overjoyed to have the opportunity to work with this insanely talented cast on such a tremendous show. This is her sixth time working at Milagro, following three shows and two staged readings. She is a company member of Badass theatre, and was in their inaugural production of Invasion! which will be remounting this summer! She has also performed at Post5, Lakewood, Compass Rep, Clackamas REP, CGTO, Pittsburgh Playhouse, and PCPA Theatrefest. She would like thank all her theatre family in Portland for being so wonderful and supportive. graduated from the University of Puerto Rico with a bachelor’s degree in Theatre Education majoring in experimental theatre and devising work within a community. She was the artistic director of a project called Crearte, in which professionals bring and teach theatre to children of low-income families. Mayra has been working as a professional actress and director for the past five years. She directed plays such as La bicicleta del condenado and Ésta noche juega el Jóker. Her acting credits include El segundo círculo, El SI-DA, Romeos y Julietas, Tres and A Suicide Note of a Cockroach. At Miracle, she most recently appeared in Bodas de sangre and Oyá: Call the Storm. is from Ghana, West Africa. The main focus in her life is dancing. She is an instructor of dance and music for young people and performs occasionally with various local groups. Most recently, she performed in Sanctuary, choreographed by Keith Goodman. She has performed previously for the Miracle theatre with the dance troupe, Tiempo Caribe and will also be performing with the Milagro Bailadores this month. is thrilled to be returning to Milagro’s stage as a performer. Other roles here include Men on the Verge of a His-Panic Breakdown, Drammy Award Winning performance in Men on the Verge 2 - The self Esteem Files, Serena Queen of the Tango, Drammy Award Winning performance in Deporting the Divas, Clean, & Kiss of the Spider Woman. He also directed A Bicycle Country and most recently was the projection designer for Into the Beautiful North and Learn to be Latina. He has BFA from Southern Oregon University. He has received several awards for acting, directing and projection work in Portland, Phoenix, Tucson, and Chicago. 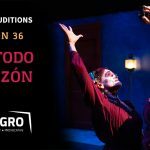 Andrés Alcalá está encantado de retornar al escenario de Milagro como actor. Otros de sus papeles aquí incluyen Men on the Verge of a His-Panic Breakdown, Men on the Verge 2 - The self Esteem Files (en el cual ganó un Drammy Award por su actuación), Serena Queen of the Tango, Deporting the Divas (en el cual ganó un Drammy Award por su actuación), Clean, & Kiss of the Spider Woman. Además dirigió A Bicycle Country y más recientemente trabajó como diseñador de proyecciones para Into the Beautiful North y Learn to be Latina.Él tiene un bachillerato de la Southern Oregon University. Ha recibido varios premios de actuación, dirección y proyección en Portland, Phoenix, Tucson, y Chicago. is the author of a short story collection, Mrs. Vargas and the Dead Naturalist (Calyx), and three novels set in 19th Century Mexico:Spirits of the Ordinary, The Flower in the Skull, and Treasures in Heaven (Chronicle, Harvest/Harcourt Brace). Her work has received the Pacific Northwest Booksellers Award, the Governor's Writers Award, the Western States Book Award for Fiction, and the Washington State Book Award. She is a co-founder of and contributing editor to The Raven Chronicles, and a writer in residence at the Richard Hugo House. A member of Los Norteños, a group of writers and performers, her work will be included in the forthcoming Norton's Anthology of Latino Literature, edited by Ilan Stavans. Kathleen was recently honored along with other Latina artists by Women of Color, Empowered. was born in East Los Angeles and moved to Portland in 1998. He is a graduate of David Douglas High School. Albert has been involved with Teatro Milagro since 2006 in Pluma Nueva, The Road To Xibalbá, and for the past three pastorelas. Hes also been part of a year-round play with Northwest Family Services about abstinance for youth. Now he is very glad to be part of this production because he has always wanted to play a “pachuco” in his life. is in her fourth year as Artistic Director with Tears of Joy Theatre. Being a part of Dia de los Muertos is a prime example of why she loves her job! Check out our website: www.tojt.com to see some other examples. works in theatre, performance, poetry, short fiction, and journalism. A Chicano born and raised in downtown Los Angeles, Luis is the recipient of a MacArthur Foundation fellowship and is the only playwright to have received two Kennedy Center Fund for New American Play awards in the same year. A former Resident Artist at the Mark Taper Forum for ten years, Luis served as Director of New Play Development. His plays and performances have been seen throughout the Americas and Europe and include Electricidad; Oedipus el Rey; Breakfast, Lunch & Dinner; Black Butterfly; No Holds Barrio; Bitter Homes & Gardens and Straight as a Line. He has taught throughout the country and is currently an Assistant Professor at the University of Southern California. He has an award-winning solo recording, down town, an Emmy for his short film, Chicanismo, and his first screenplay, From Prada to Nada, was produced and released by Lionsgate. Luis is currently working with the Magic Theatre in San Francisco, CA on the World Premiere of his new play, Bruja. has been involved in theatre for many years. Bart last appeared for Miracle in Maria's Magic Christmas. Currently he is writing a play about AIDS, and also spends his weekends as an entertainer at the Ember's Night Club. currently head of the Portland State University acting program, also teaches at Portland Center Stage’s Greenhouse, The Actors Centre in London, and in private classes. Recent directing credits include the premiere of Too Much Coffee Man Opera (Portland Center for the Performing Arts); The Heidi Chronicles (Profile Theatre); How I Learned to Drive (Bloomsburg Ensemble); Slavs! by Tony Kushner and Far Away by Caryl Churchill (Manbites Dog Theatre); and for Our Shoes Are Red/The Performance Lab: the Northwest premiere of Will Eno’s Thom Pain (based on nothing), The Kafka Opera, Waiting for Godot (with Chicago’s A Broken Umbrella Theatre), Ophelia’s Tattoo by Erik Ehn, and Cave Theory: Parts I & II. As an actor, Devon’s recent roles include Gertrude in Lee Blessing’s Fortinbras (La Jolla Playhouse premiere); Galactia in Howard Barker’s Scenes from an Execution (with Our Shoes Are Red/The Performance Lab); Aunt Dan in Wallace Shawn’s Aunt Dan and Lemon; Orestes directed by Robert Woodruff (premiere), Lady Bracknell in Romulus Linney’s Oscar Over Here (premiered at Manbites Dog Theatre); Brenda Heaven in Naomi Iizuka’s Lizzie Vinyl and the China Thing (premiered at the Edinburgh Fringe); Fefu in Fefu and her Friends directed by playwright Marie Irene Fornes; and the title role in Medea directed by Evan Yionoulis. Devon holds a certificate from the Royal Academy of Dramatic Arts (London) and an MFA in Acting from the University of California at San Diego. She is a member of Actors Equity and The Lincoln Center Director’s Lab and Artistic Director of Our Shoes Are Red/The Performance Lab. Devon would like to thank her teacher, Dr. Arthur Wagner, for his knowledge about life and art and for his support, and Miracle for this opportunity. This is Mario’s debut performance here at Miracle Theatre and in Portland. He has performed in both stage and film in San Francisco and Los Angeles and studied acting under the late Estelle Harman and Jerry Blunt at the Drama Academy. Mario has been a certified scuba diver-master for over ten years and water safety instructor the City of Vancouver (WA) Parks & Recreation. He would like to dedicate his performance to his wonderful wife, Rita, for without her patience, love and understanding his performance would not be possible. After two decades as a professional French hornist, the tango found Bill which he has been obsessively pursuing for the last five and a half years. He has studied with nearly three dozen visiting Argentines, and now teaches tango in Portland. is a native of New York, and of Greek descent. She recently completed her graduate work in Theatre Arts at the State University of New York at Stony Brook. In Portland, she has worked in various capacities at Sumus Theatre and at the Firehouse theatre, and is currently General manager for MetroNorthwest Productions at Sumus. “Geo” can be caught acting, directing, writing, improvising all around town. You can catch Simply Maria, or The American Dream at Roosevelt High School in Saint Johns this October directed by your truly. is making his debut here at Milagro. He is a native New Yorker of Puerto Rican decent and is thrilled to be taking part in such an empowering and collaborative process. Much love and thanks go out to his very supportive parents and family, teachers and coaches, and beautiful friends. Christian Álvarez está haciendo su debut aquí en Milagro. Es originario de Nueva York, de descendencia puertorriqueña, y se siente emocionado de formar parte de un proceso de colaboración tan enriquecedor. Mucho amor y agradecimiento para las personas que lo han apoyado, su mamá, su papá, familia, maestros y entrenadores, y sus queridos amigos. began dancing in 1987 in Philadelphia PA, where he studied dance with Roni Koreesh and Sandy Summers. In 1989 he moved to Portland and began performing as a member of the Urban Dance Ensemble 1992-1994 under the artistic direction of Bobby Fouther. From 1995-2001 he danced and performed in several productions as a member of the Really BIG Dance Company. Edwin Alvelo is a former member of Milagro Bailadores and worked as a performer/cheoreographer in Balie Romatico spring of 2000 and Noches De Cuba spring of 2001. Edwin was an avid Motorcyclist until February of 2009 when he suffered serious injuries in a head on collision with a car while approaching the Steel Bridge. Determined to recover he spent many months in physical therapy and worked tenaciously to rebuild and restore his self and life passions. Edwin is excited to be returning to the stage once again and performing for you at Miracle. Edwin Alvelo Edwin Alvelo comenzó a bailar en 1987 en Filadelfia, donde estudió danza con Roni Koreesh y Sandy Summers. En 1989 se mudó a Portland, y comenzó a actuar como miembro del grupo de danza Urban Dance Ensemble durante 1992-1994, bajo la dirección artística de Bobby Fouther. Entre 1995-2001 él bailó y actuó en varias producciones como miembro de la Really BIG Dance Company. Edwin es un ex miembro de Milagro Bailadores y trabajó como intérprete / coreógrafo de Balie Romatico en la primavera del 2000 y Noches De Cuba en la primavera del 2001. Edwin era un motociclista ávido hasta febrero de 2009 cuando sufrió graves lesiones en la cabeza en una colisión con un coche mientras se aproximaba al Steel Bridge. Decidido a recuperarse pasó muchos meses en terapia física y trabajó tenazmente para reconstruir y restaurar su persona y retomar las pasiones de su vida. Edwin está emocionado de regresar al escenario de nuevo y actuar para ustedes en Milagro. Patricia Alvitez studied Ballet at La Escuela Nacional de Ballet en el Peru and theatre at la Asociacion de Artistas Aficionados. She is a former Company member of The Peninsula Ballet Theatre in San Francisco. Patricia started dancing Ballroom in 2008 and has competed in Portland, Seattle and Los Angeles. Currently she is a dance student at Espacio Flamenco. Local credits include Grand Hotel and Young Frankenstein at Lakewood Theatre, 5 Day of the Dead productions and Watsonville here at Milagro. She thanks Roy for this opportunity. Patricia Alvitez estudió Ballet en la Escuela Nacional de Ballet en el Perú y teatro en la Asociación de Artistas Aficionados. Ella es una ex miembro de la Compañía del The Peninsula Ballet Theatre en San Francisco. Patricia comenzó a bailar Ballroom en 2008 y ha competido en Portland, Seattle y Los Ángeles. Actualmente es estudiante de baile en Espacio Flamenco. Los créditos locales incluyen Grand Hotel y Young Frankenstein en Lakewood Theatre, 5 producciones de el Dia del Muerto y Watsonville aquí en Milagro. Ella le agradece a Roy por esta oportunidad. received her M.F.A. in directing from the University of British Columbia. She has directed, taught and lectured throughout the US, Canada and England. She was an assistant professor at New Mexico State University in Las Cruces and Willamette University in Salem, Oregon. She has directed at the North American Theatre in Prague, King's Head Theatre in London, the American Southwest Theatre Co. in New Mexico and the Portland Center for the Performing Arts in Oregon. is a graduate from The Nacional School of Circus Arts & Varieties of Havana, Cuba; Noel began his artistic career since the age of seven as a magician, radio announcer and actor for several kids TV shows. With more than five theater plays and participation at the best popular night clubs in Havana, Noel moved to Mexico where he started touring around different cities in company of the greatest circus in the country. He also has the opportunity to teach acrobatics, puppetry and handcrafted mask workshops. Noel is excited to make his US debut as Pepe, an electronic products salesman who brings chaos to the Prieto family. Graduado de la Escuela Nacional de Artes Circenses y Variedades de la Habana, Cuba; Noel empezó su carrera artística desde los siete años de edad como mago, locutor y actor en programas de televisión para niños. Con más de cinco obras de teatro y participación en los mejores centros nocturnos en la Habana, Noel se muda a México y lleva su espectáculo a diferentes ciudades en compañía de los mejores circos del país. También ha tenido la oportunidad de impartir talleres de acrobacia, artes circenses, títeres y fabricación de máscaras. Noel se encuentra muy feliz de hacer su debut en los Estados Unidos dándole vida a Pepe, un vendedor de productos electrónicos el cual trae caos a la familia Prieto. La Chunga marks John's designing debut with Miracle Theatre. He has previously designed for such shows as How the Other Half Loves, Taming the Shrew, My Three Angels, and Richard III. John holds a BA in Theatre from Pacific University, and in addition to designing, he has also acted, stage managed and directed, with his most recent directing project being the 2001 Portland Christmas Revels. When not involved in a theatrical project, John enjoys working on his 1851 farmhouse, and spending time with his wife Lesa, and their three cats. received her B.A. in theatre and literature from Reed College. She also studied acting and directing at the Moscow Art Theatre in Moscow, Russia. Rachel has directed multiple productions at Reed College, as well as for the Walking Theatre and the Haven Street Players; and received the Kaspar T. Locher scholarship in 2002 to support directing and writing work on The Dream. She has spent the last two summers directing a theatre camp for adolescents in Lake Oswego, and will begin graduate study in Directing and Theatre Criticism at Stanford University in the fall. Enrique E. Andrade, originally from Mexico City, is a graduate of the University of Oregon with majors in Spanish Literature and Philosophy and a minor in Political Science. Enrique became a Master Level Court Certified interpreter in July 2001 and began as a Staff Interpreter II with the OJD in December 2001. When Enrique is not interpreting for the OJD he spends his time as a local actor on stage and screen and as Voice Over talent. Most notably Enrique is the Spanish voice of the MAX. Enrique E. Andrade, originalmente de la Ciudad de México, se graduó en la Universidad de Oregón con especialización en Literatura y Filosofía del idioma español y una especialización en Ciencias Políticas. Enrique se convirtió en Intérprete Certificado de Nivel Maestro en Julio de 2001 y comenzó como intérprete personal II con la OJD en Diciembre de 2001. Cuando Enrique no está interpretando para la OJD, pasa su tiempo como actor local en el escenario y la pantalla y también como Voice Over . En particular, Enrique es la voz española del MAX. Sarah Andrews holds a BFA in Acting from Central Washington University. Directing credits include Heart Play (Beady Little Eyes), Crossing, Thom Pain (based on nothing) (Crave Theatre), Corre Corre (Teatro Milagro), and the world premiere of From the Ruby Lounge (Steep and Thorny Way to Heaven). She wrote, produced, and directed two puppetry productions: an original adaptation of Life is a Dream, and Pearl and the Five-Headed Dragon. Sarah is a theatre artist who puts her soul into her work and looks forward to exploring the creative possibilities the future has in store. graduated in 1988 from Lewis and Clark College where his performing credits include The International Stud (Ed), Love's Labours Lost (Navarre), and The Three Sisters (Andrey). He also enjoys directing and writing about the theatre. Cindy is originally from a small town in Yakima Washington. She graduated from Washington State University with a BS in Psychology. As an actor, she has performed in Our Town, You Can’t Take It with You, Richard III, She Kills Monsters, and Don Quixote where she played her favorite role as Sancho Panza. Cindy has also taken on behind the scene roles as an assistant set designer, director, and prop master. This is her first year touring with Teatro Milagro and she is looking forward to the new adventure. received his bachelor degrees in English and Theatre from Lewis and Clark College. Joel has performed numerous roles for The New Rose Theatre (most recently as Bob Cratchit), ART, IFCC, Stark Raving Theatre, and the Musical Company. He has also played various roles in classical Greek and Shakespearean theatre. 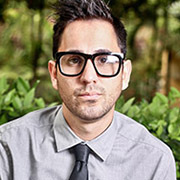 Roy Antonio Arauz is a Costa Rican-American director, choreographer, and Milagro’s Producing Creative Director since 2016. He founded and was artistic director of Arouet in Seattle from 2011–2015. Select directing credits: Anna in the Tropics (Latino Theatre Projects), The Gene Pool, The Temperamentals, The Hen Night Epiphany (Arouet); La Mariposa (Book-It, touring); My Mañana Comes (Associate Director, ArtsWest); Annie, The Music Man (Driftwood Players); The Humans (Assistant, Artists Rep); Éxodo (Co-director, Milagro). Choreography credits include: Female Hitchhikers (Consenting Adults, Helen Hayes Award nomination for Outstanding Choreography); Annie, The Wizard of Oz (Snoqualmie Falls Forest Theatre.) He is a member of the Latinx Theatre Commons Steering Committee, the 2015 Lincoln Center Theater Directors Lab, and the 2016 Directors Lab West. Roy Antonio Arauz es un director y coreógrafo costarricense norteamericano, y desde el 2016 es el director creativo y de producción de Milagro. Él fundó y fue el director artístico de Arouet en Seattle del 2011 al 2015. Obras que él ha dirigido incluyen: Ana en el Trópico (Latino Theatre Projects); The Gene Pool, The Temperamentals, The Hen Night Epiphany (Arouet); La Mariposa (Book-It, giras); My Mañana Comes(Director Asociado, ArtsWest); Annie, The Music Man (Driftwood Players); The Humans (Director Asistente, Artists Rep); Éxodo (Co-director, Milagro.) Obras que él ha coreografiado incluyen: Female Hitchhikers(Consenting Adults, nominación para el Helen Hayes Award en Coreografía Sobresaliente); Annie, El Mago de Oz (Snoqualmie Falls Forest Theatre). Es miembro del Comité Directivo del Latinx Theatre Commons, del Lincoln Center Theater Directors Lab del 2015, y del Directors Lab West del 2016. Physical theatre actor, director, clown, mime and fool that holds an MFA in Ensemble-Based Physical Theatre from Dell'Arte International and a BA in Drama from the University of Puerto Rico. Robi has performed, toured, and lead workshops in Mexico, Venezuela, Puerto Rico, and several cities the U.S. His work is diverse, created through fusion of styles fueled by social justice and change. His passion is to create a physical, dynamic and poetic theatre that connects with people as sports connect with fans. has designed lighting for numerous theatres and plays in the Portland area. His credits include lighting for LOCT's Three Guys Naked from the Waist Down, ART's We won't Pay! We Won't Pay! and at the Coaster Theatre, The Sunshine Boys. Jon was the Assistant Lighting Designer for the past 2 seasons at the Portland Repertory Theatre and is currently the Technical Director at LOCT. (Enrico) appearing in his third Miracle production. He portrayed Mingo, El Gringo, in The Shrunken Head of Pancho Villa, and at MTO, Eva Peron's brother in Evita and the Shogun's wife in Pacific Overtures. He is the graduate of the American Center for Music Theatre and has a BA in Drama and Vocal Performance from the University of Southern California and is represented by Cusicks Talent. Jed Arkley has been featured in “Poltergeist: Live” (Steve Freeling), “Road House: The Play!” (Wade Garrett), and “Rudolph: On Stage!” (Rudolph), all at The Siren Theater. Jed has also written for and acted in numerous sketch comedy shows and has been performing improv comedy for close to 20 years with groups such as Whiskey Tango, Arkley and McLendon, and J Names. He is a co-founder and producer of The Stumptown Improv Festival, which is now entering its fifth year. His 13-year-old daughter is pretty much the best. Anthony graduated with an M.F.A in Ensemble Based Physical Theater from Dell’arte International in 2013. This February he will begin a 3 month stint in Australia to work as a venue technician at fringe and comedy festivals. Most recently Anthony designed the lights for Corrib Theatre’s production of Belfast Girls. He is excited to finally work with his schoolmate Robi, may this be the first of many collaborations. Anthony se graduó con una maestría en artes en teatro físico de teatro de creación colectiva de Dell’arte Internacional en el 2013. En febrero comienza un contrato de 3 meses en Australia trabajando como el técnico de locales en festivales de teatro y comedia. Recientemente Anthony diseñó luces para la producción de Belfast Girls de Corrib Theatre. Está muy emocionado de por fin trabajar con su compañero de universidad Robi, que esta sea la primera de muchas colaboraciones. is a composer and sound designer from Athens, Greece. He holds a Master’s degree in Ethnomusicology from the School of Oriental and African Studies (SOAS) in London, and is currently studying towards a PhD in Composition from City University. He has created soundtracks for different media such as theater, contemporary dance, video games (Apotheon), documentaries, TV series, animation, and feature films. His work has been performed in the Athens Concert Hall, the 2012 Venice Biennale, the 10th Berlinale Talent Campus, BIOS theatre, the Brooklyn Academy of Music and has been nominated for an award in best sound design from the Aubagne Film Festival in France. He recently moved to New York and has worked on Dance for a Dollar (INTAR), The One Minute Play Festival (INTAR), and the Summer Shorts Festival (59E59 theaters). www.marios-aristopoulos.com . has been stage managing around town for a couple of years. Her last show at Miracle was "La Chunga." She also worked on "Icarus," and "Bicycle Country." Recently she stage managed the west coast premiere of "Venus" at Portland State University. She also recently directed "The Baltimore Waltz" at Portland State. Sarah is happy to be back at Miracle and would like to thank the cast and crew for all their hard work. Enjoy the show! John Armour is an award-winning fight director and all around theater artist. He enjoys the challenge and satisfaction of building sets, crafting props or designing some special effect to enhance a bit of violence on stage. This is his first show doing props for Milagro. He has choreographed violence and supplied theatrical weaponry for Milagro productions such as Tino Does Time, Blood Wedding and others. nació en el estado de Chihuahua en México. Un ex estudiante de la Asociación Mexicana de Actores, ha trabajado con Teatro Español durante 4 años. Las obras en que ha participado son La Barca sin Pescador, Día de Los Muertos, Ana en el Trópico, El Jardín de Sueños y Fuente Ovejuna. Ha hecho teatro desde que tenía 17 años. is a recent graduate of Cornish College of the Arts in Seattle, Washington where she appeared in such productions as Cloud Tectonics and Troilus and Cressida. In Seattle she was Cobweb in a Midsummer Night’s Dream at Seattle Shakespeare Company, Money and Run at Theatre Schmeater and “14/48” at Consolidated Works. Brenda brings her Mexican heritage and her experience of working with ESL students for her first season of touring with Teatro Milagro. was born in Mexico City and studied theatre at UNAM and Freehold Theater Lab in Seattle. He has worked under the direction of José Luís Ibáñez, Rafael López Miarnau, Olga Sanchez, Robin Smith, Hector Mendoza and Miguel Sabido. "As artists, we weave our souls together to create our art, not for personal gratification, but to generate truth onstage," says Roberto. Last year, he was seen in Opción Multiple at Milagro. Roberto Astorga nació en la ciudad de Mexico y estudió la carrera de teatro en la UNAM. Ha trabajado bajo la dirección de José Luís Ibáñez, Rafael López Miarnau, Olga Sanchez, Robin Smith, Hector Mendoza y Miguel Sabido. Roberto trabaja para Home Foward y es maestro certificado de Iyengar Yoga. "Como artistas, entrelazamos nuestras almas para construir nuestro arte, alejados de la gratificación personal para producir la verdad en el escenario," dice Roberto.